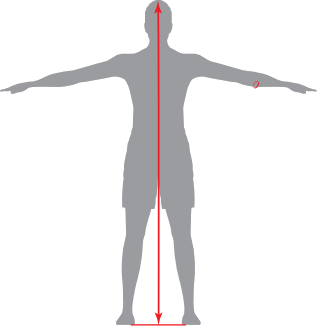 Measure the line indicated in figure. Waist contourn: Place the metric tape horizontally on the narrow part of the aist at the height of the belly button. Hip Contour: Measure passing the tape measeure in the middle of the backside from the back.